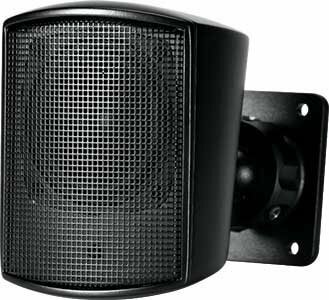 Satellite Speaker, 60 mm (2.5 in) low-distortion driver, for use with C50S/T or C50CS/T subwoofer or requires external high-pass, 16 ohms, wall-mount bracket included (priced as each, sold in pairs), black. Stylish, unobtrusive design fits into a wide variety of decors. Versatility for either two or four satellite speakers per system.